The care you deserve in your time of need. Achieving financial security and maintaining the lifestyle you choose is how you see your future and what you plan for. Realizing these goals requires proactive planning, including taking into account how the need for long term care can impact your financial security, your quality of life, and your family’s well-being. Nearly 2 out of 3 Americans will need some form of long term care in their lifetime. With the cost of long term care at an average of $72,000 or more per year in a nursing home, a long term care insurance policy from AC Financial Group can help protect the assets that you’ve accumulated over a lifetime. Long term care can be provided not only in the traditional nursing home setting, but also in assisting living facilities, continuous care retirement communities, adult day care, or even in your own home. Our plans are designed to allow you to receive the specific type and amount of care you need, in the setting in which you are most comfortable. At AC Financial Group, we can provide the coverage you want and deserve in your time of need. To speak to one of our friendly and helpful benefit advisors to learn more about the long term care solutions we have to offer. 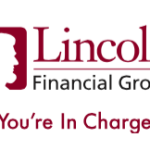 Lincoln Financial Group is a Fortune 500 company offering a diverse range of financial services and solutions. With a strong focus on four core business areas — life insurance, annuities, retirement plan services, and group protection — our business is built around supporting, preserving, and enhancing our customer’s lifestyles and providing better retirement outcomes.